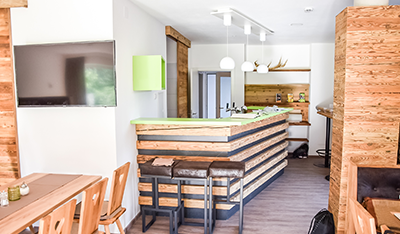 The newly designed, cozy SIMMERLS VILLA LANDLUST was built in 2017 next to SIMMERLS HOUSE URSPRUNG. You will feel like home. Feel the cosiness, the attention to detail and discover the beauty in life. 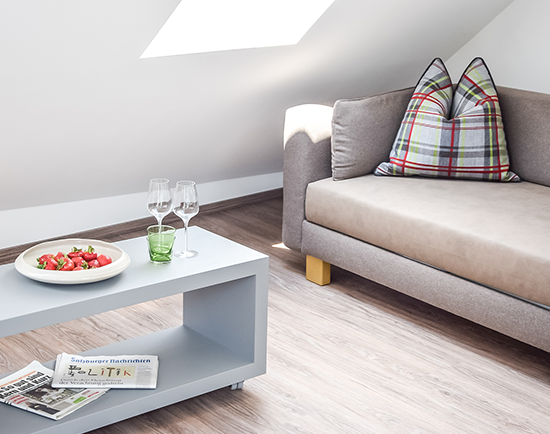 The SIMMERLS VILLA LANDLUST has 15 modern rooms and a new breakfast area, combining traditional with modern architecture and comfortable living. The motto is: “Tradition kisses modernity”. With great attention to detail, the house has been furnished comfortably and stylishly. You can also enjoy all facilities at thehotel. 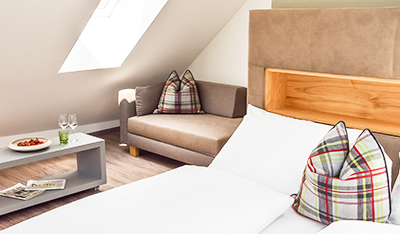 The room was newly built in 2017, has a balcony or terrace, bathroom, shower and hairdryer, cable TV and Wifi. 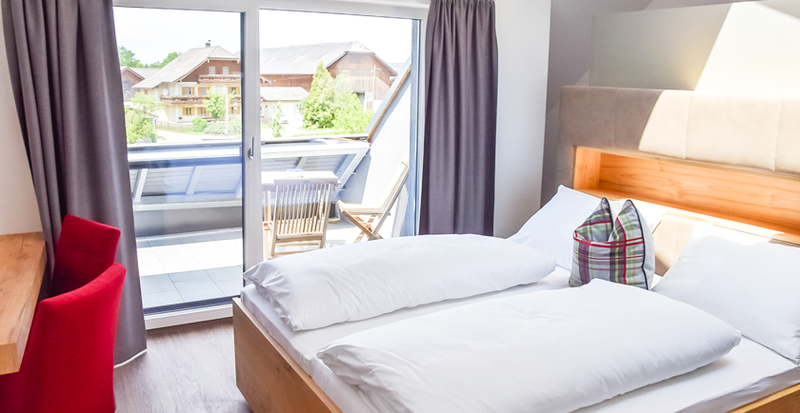 The room was newly built in 2017, has a sleeping sofa, a balcony or terrace, bathroom,shower and hairdryer, cable TV and Wifi. 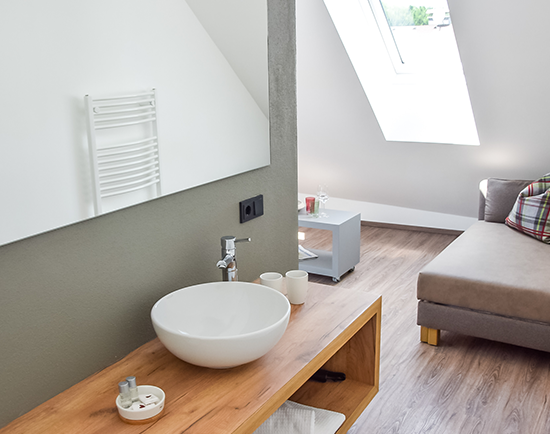 The room was newly built in 2017, has a terrace, bathroom, shower and hairdryer, cable TV and Wifi.